Atlantic City’s Borgata Hotel Casino & Spa has filed a formal response to Phil Ivey’s motion for a summary judgment to be finalized in the long-running, high-profile “edge sorting” case between the parties. Two weeks ago, counsel for Ivey made its motion to presiding judge Noel L. Hillman to render his judgment final. In that judgment, Hillman awarded the Borgata roughly $10.1 million in damages from Ivey and co-defendant Cheung Yin Sun, ruling that the pair’s edge-sorting card-identification scheme violated the implied compact between them and the Borgata, by altering the previously known odds of the mini-baccarat game. However, Hillman dismissed more serious fraud and racketeering allegations brought by the Borgata against Ivey and Sun that could have resulted in trebled (or more) damages. In this latest response, the Borgata agrees that Hillman’s judgment should be rendered final, but wholly disagrees with the second part of the motion filed by Ivey’s and Sun’s attorneys — that the amount of the judgment ($10,130,000) be stayed instead of posted as bond for the already-promised appeal. That argument carries a great deal of logic; it seems incredulous that Ivey should be able to refrain from posting the civil bond merely on the basis of its possible denting effect upon his gambling bankroll. that professional gambling even can be compared to the businesses in Minard, publicly available facts show Ivey is a very long way from going out of business. The brief then goes on to detail some well-known estimates of Ivey’s net worth, including a mainstream feature that pegged that figure at about $100 million. 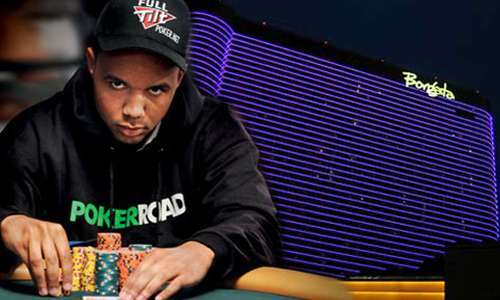 Ivey certainly took in tens of millions from his part ownership of Full Tilt Poker, and has always been a profitable poker player, likely netting many millions more, live and online from the game. 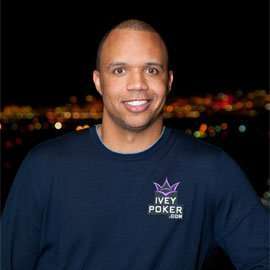 It’s also true that Ivey has had the funds to do things such as post a million-dollar bond on behalf of Paul Phua, the Malaysian gambling kingpin who was accused of running a boiler-room bookmaking shop from private suites at Caesars Palace, in a case that was eventually tossed out due to government agents’ misconduct in obtaining evidence. Ivey certainly should have some funds. However, he’s a noted gambling whale in several other house-advantage games, such as craps and baccarat, even if he and Sun were able to profit heavily for a short time from their complex edge-sorting scheme. How much Ivey is worth is certainly one of the remaining open questions in this case. The Borgata’s filing isn’t necessarily about that, but it is about trying to force some of those Ivey millions — 10.13 of them, to be exact — into the legal system for easy retrieval should the Borgata prevail, post-appeal. With no inference intended toward Ivey, it’s a historical fact that many high-stakes gamblers, as with other wealthy types, have notoriously secreted many of their assets. The Borgata certainly wishes to avoid the possible scenario of winning the initial court case, then be forced into a second lengthy battle if it should need to seek to identify and seize funds or assets. The next hearing in the case is scheduled for later this month.